The chances that a rookie scores 40 goals this season are fairly slim, but that doesn’t negate the fact that there are plenty of talented rookies in the league. In 2016-17, we witnessed Auston Matthews and Patrik Laine. Before that, we saw Panarin, Eichel, and McDavid. Which ones will make the race interesting in 2017-18? A top-notch player playing on a team that receives very little media attention and started the season 0-9-1? Yeah, Keller might be under the radar to those who don’t watch Western Conference games. 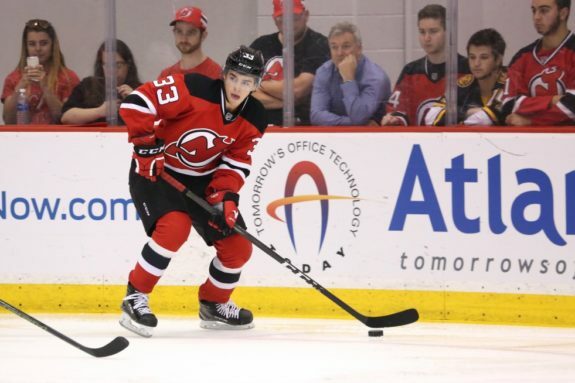 He was sensational at the World Juniors, World Championships, U.S. National team and NCAA, and models his game after Patrick Kane – what’s not to like about Keller? 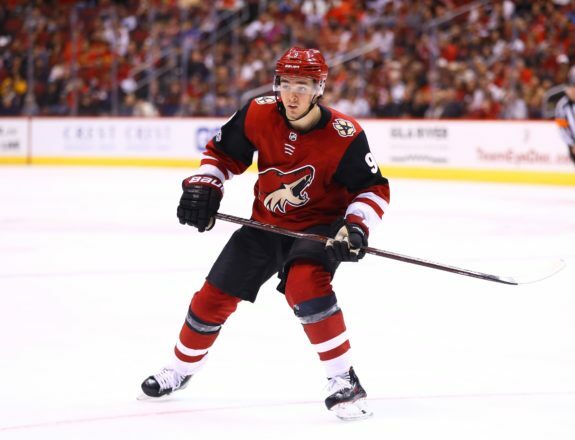 Despite playing for a young, rebuilding Coyotes squad, Keller has managed to take the reins and produce consistently. In his 10 games, he’s tallied seven goals and 11 points, a hot start that ranks him first amongst rookies. With first power play duties and 20 minutes a night, a 60-point season is a reachable milestone for the youngster. Boeser introduced himself to the NHL at the end of last year when he notched five points in nine games. This season, he continued his solid play and now finds himself at a point per game pace, much to the delight of Canucks fans. 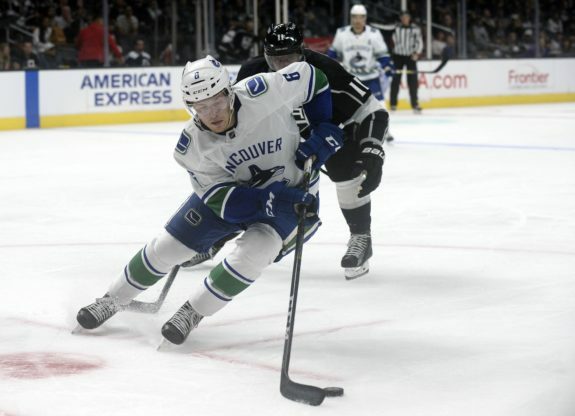 Boeser, like Keller, is playing for a team that is pegged as a lottery team, but so far, Vancouver has done quite well, starting their season with a 6-3-1 record. Boeser has quick hands and always seems to be a good scoring position, as his hockey IQ is off the charts. He’s averaged over 20 minutes a night this season and is showing no signs of slowing down. He’s especially lethal on the power play with five power-play points. Anyone who watched the Bruins in the playoffs last year knows that McAvoy is the real deal. With key names out on the blue line for the B’s, McAvoy stepped in and immediately took on a big role alongside Zdeno Chara, playing over 25 minutes a game and registering three assists. 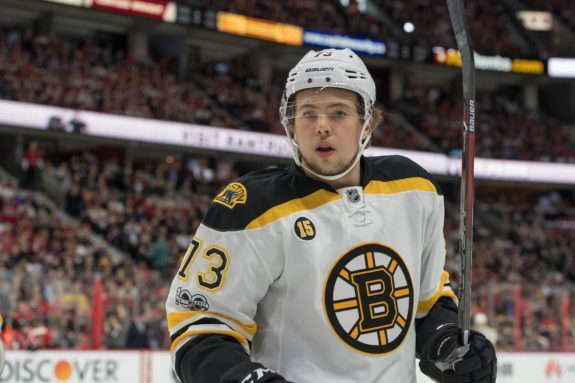 This year, McAvoy has played the second most minutes on the Bruins (167:06) and has put up seven points in eight games. His game is complete – he’s physical, he’s smart and he’s going to be a huge piece to the Bruins core if they don’t trade him, of course. At the start of the season, nobody would have guessed that Sergachev would have a start this hot. With 15 games of NHL experience under his belt, Sergachev has made the most of his opportunity and has become an offensive catalyst early on for the high-scoring Tampa Bay Lightning. 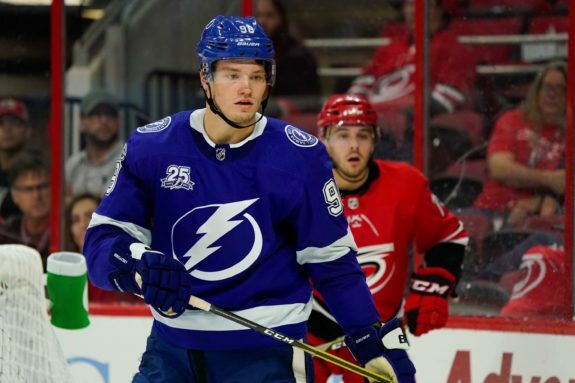 Sent packing in a deal that sent Jonathan Drouin to the bleu-blanc-rouge, Sergachev is demonstrating why good puck-moving defensemen are so key in the NHL. He sees very limited ice time (13 minutes per game), but has shown his high-end talent, and will, without a doubt, see an increase in minutes as the season goes on. The first overall pick of the 2017 draft is definitely going to be in the Calder talks all season long. Playing top-line minutes with the Devils, Hischier is being given every opportunity to produce, like several others on the list. His dynamic skating and quickness will help him beat defenders and find teammates on the ice. He’s put up seven points in eight games so far, but Hischier has the talent to reach 50 points. Hischier’s two-way game is also to be noticed, as he can play in all three zones with poise. He’s a big reason for the Devils’ early-season success.